Spaghetti and meatballs. I feel like those two have been perpetually linked since the beginning of time, or since pasta has been a thing. Fortunately, we’ve discovered that meatballs don’t always need a refined carb counterpart. 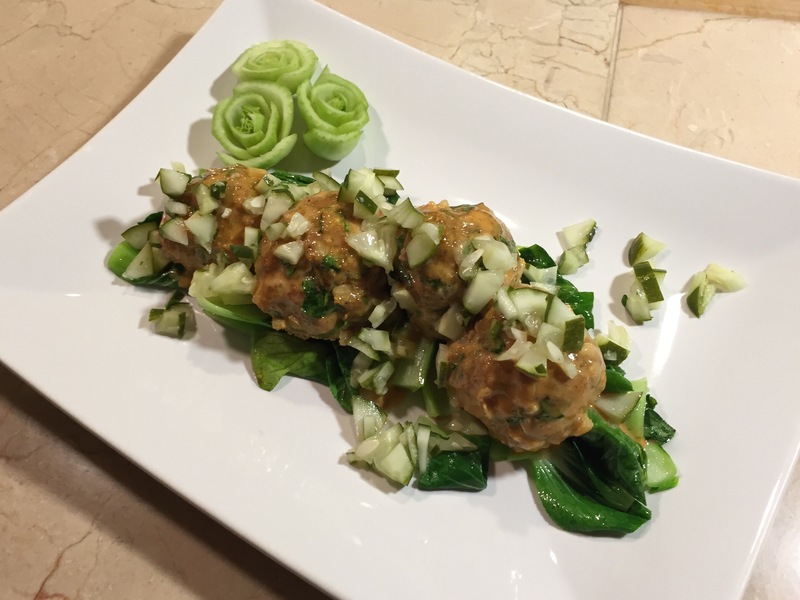 This week’s look into Shannon and I’s menu features turkey meatballs paired with garlic sautéed baby bok choy instead of pasta. Bok choy is a great pasta alternative because it’s a cruciferous vegetable that is loaded with vitamins A, K, and C and contains over 70 antioxidants, which is why some researchers believe it can aid in cancer prevention (source). Expanding our food choices, especially when it comes to vegetables, is crucial to optimizing our health and developing as a species (source). The next time you go grocery shopping, forget the box of barilla and go for the bok choy. If you are already a bok choy fan, let us know what dishes you incorporate it into. We’re always looking for new recipes.